Hugh Morris, at UK Daily Telegraph wrote: Lithuania is celebrating 100 years of independence. Sort of. While it shook off more than a century of Tsarist (Russian) rule on February 16, 1918, it was reoccupied at the end of the Second World War and only regained its freedom in 1990. Nevertheless, the country is marking the centenary, as is sure to be hoping the next 100 years is rather less fraught. Church bells tolled across Lithuania on Friday to mark 100 years of independence regained after World War I by the Baltic nation, which is now firmly anchored in the West but experiencing tension with powerful neighbor Russia. “At the start of the last century, we looked forward with great hope to any sign of support,” President Dalia Grybauskaite said at a ceremony in the snowy capital Vilnius. “Today we know that we have true friends and allies, and their strong supportive shoulder,” she added, speaking alongside top European Union (EU) officials, presidents and royalty. Like fellow NATO and eurozone Baltic states Latvia and Estonia, Lithuania increased defence spending and welcomed troops from allies after Moscow’s 2014 intervention in Ukraine. 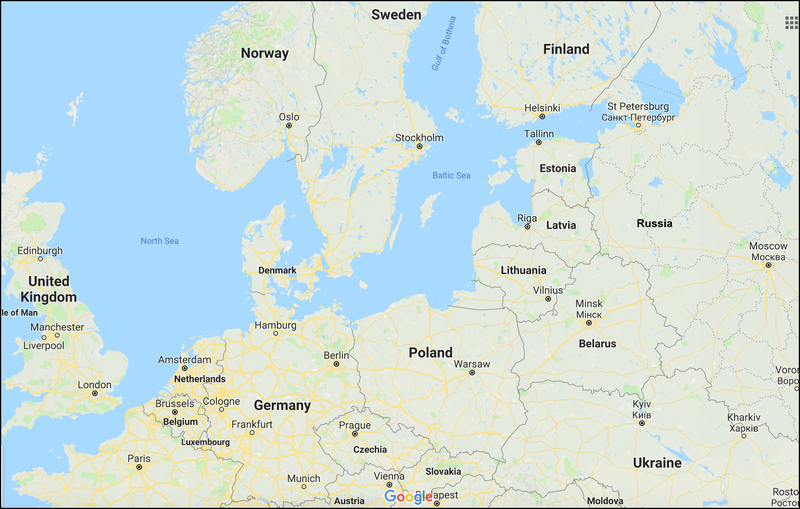 Vilnius earlier this month accused Moscow of deploying nuclear-capable ballistic missiles to Russia’s Kaliningrad exclave on the Baltic. To demonstrate collective defense commitments, US and Danish fighter jets deployed in Lithuania roared across the capital’s cloudy skies on Friday. “Independent Lithuania’s major achievement has been the creation of a genuinely stable democracy,” said Vilnius University analyst Kestutis Girnius. “Although changes in government have been frequent, and political parties come and go, election results have never been challenged,” he told AFP. Lithuania can also boast solid economic growth of 3.9 percent last year, though it is beset by daily concerns over rising prices, social inequality and emigration to the richer west. EU officials and the Presidents of Estonia, Finland, Georgia, Germany, Iceland, Latvia, Poland and Ukraine as well as Swedish Crown Princess Victoria attended the ceremony in central Vilnius. Hours earlier, schoolchildren marched across downtown to honour the 20 Lithuanian men who signed the declaration of independence on February 16, 1918. A hundred bonfires were lit along the central pedestrian avenue later in the day, followed by concerts and fireworks in most cities and towns. b) What are the Baltic states? c) During what years did Russia control Lithuania? d) List the world leaders who attended the celebration. e) How did the U.S. and Denmark show support for Lithuania’s independence? 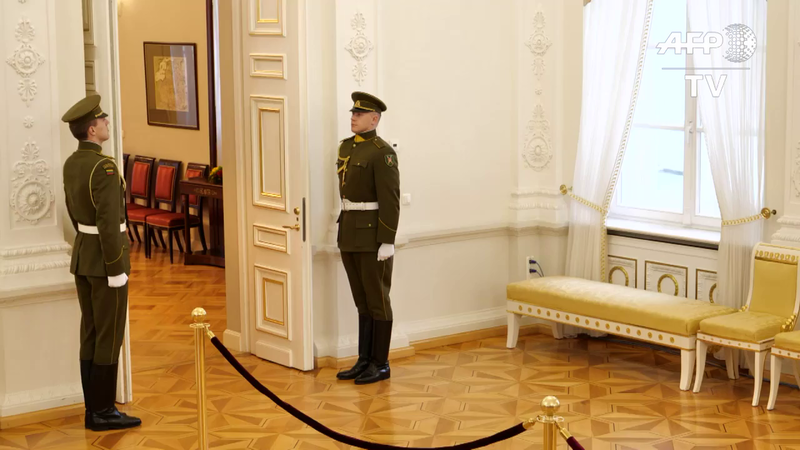 f) In addition to the ceremony with world leaders, list some of the ways the 100 year anniversary was marked in Lithuania. Lithuania’s statehood stretches back to the 13th Century when its first king, Mindaugas, was crowned in 1253. Later, the Polish-Lithuanian Commonwealth was a major European powerhouse until the federation was wiped off the map in 1795 by imperial Russia, Prussia and Austria. The Lithuanian council declared independence on February 16, 1918, when the country was still under German occupation. Brief wars with Bolsheviks and Poles followed before Lithuania won international recognition in the following years. Just in time for the centenary and to the country’s delight, a Lithuanian professor unearthed the 1918 declaration of independence in Berlin archives last year. Last month, it was brought to Vilnius under a five-year loan deal with Germany.